Akiva is an 8-year-old boy referred by his ENT. His teacher has noted distractibility and poor academic performance. You are an audiologist at a private clinic assigned to complete the audiological and auditory processing evaluation. Akiva’s average clinical clock hour time for mastery level competency is 90 minutes. Leah is a 4-year-old girl with a diagnosis of autism. She attends weekly therapy at a private clinic and was referred to you for an AAC assessment. You are a speech-language pathologist at an outpatient clinic assigned to complete her augmentative and alternative communication evaluation. Leah’s average clinical clock hour time for mastery level competency is 60 minutes. Steven is a 60-year-old male who sustained a traumatic brain injury. 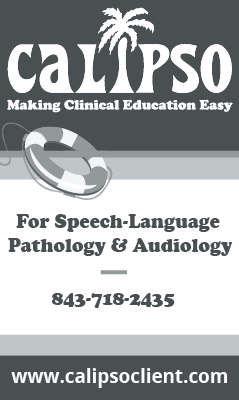 You are the home and community based speech-language pathologist assigned to complete his comprehensive evaluation. The evaluation will take place in Steven's home environment. Steven’s average clinical clock hour time for mastery level competency is 90 minutes. Cameron is a four-year-old boy who was referred for assessment because of his unintelligible speech. You are the speech-language pathologist at an outpatient clinic responsible for completing his evaluation. Cameron’s average clinical clock hour time for mastery level competency is 60 minutes.